Well, you guys have certainly been through a lot in the last week! From the highs, chaos, and anticipation of race week, to the crushing let down of having the race cancelled, to waiting for WTC’s resolution, to many “what do I do now??! !” questions. Whether you decided to jump into a 2014 race, or will be racing again in 2015, Coach Rich is here to give you some valuable guidance in the video below. This is the same guidance that he’s applying to the seasons of our 600+ athletes right now. We’d also like to step up and help you out by offering you one month of FREE Endurance Nation membership and coaching, a $109 value. This is your 30-day, no-risk opportunity to come inside and have us manage the remainder of your 2014 season, or check us out in advance of your 2015 season. Ready to take us up on our offer of one month of FREE Endurance Nation membership and coaching? Email us with “IMLT Offer” in the subject line. Be sure to include your IMLT bib number so we can verify you were registered for the race. Please Note: This special offer is only available to 2014 Ironman Lake Tahoe athletes. 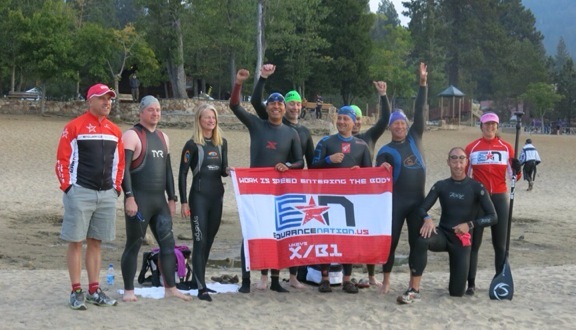 If you didn’t race Lake Tahoe but still want to check out the Team, you can create your own 7-Day Free Trial here.